Imagine not knowing where your next meal is coming from. 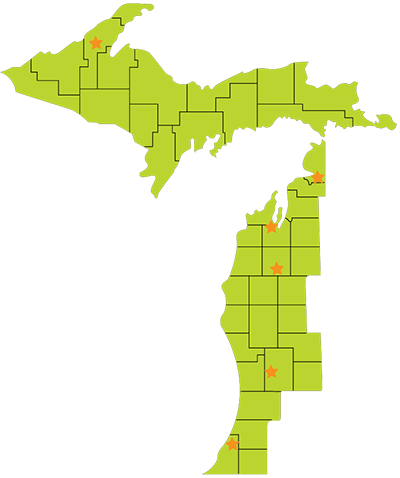 1 in 6 children and 1 in 8 adults are food insecure in West Michigan and the Upper Peninsula. 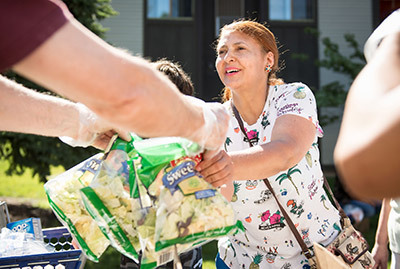 In 2017, Feeding America West Michigan, together with our 340 Food Donors and Corporate Sponsors, provided 26.7 million pounds of food to its network of more than 900 partner agencies, including mobile pantries, soup kitchens, child hunger agencies and partner food banks throughout our 40 county service area. That’s almost 22.2 million meals, but that still leaves a hunger gap of over 29 million needed meals we were not able to provide. Your corporate sponsorship will have an impact on the immediate food needs of neighbors here in Michigan and the Upper Peninsula. Your dollars help collect food and deliver it to our neighbors in need — and enhance your brand to your customers and employees. Keeping the lights on, the warehouse full and our trucks on the road keeps food on the table for the nearly 300,000 food-insecure neighbors in our service area. We drive over 500,000 miles each year — that’s equivalent to driving coast to coast 167 times! 206 agencies send food directly to people in need like farmers’ markets on wheels — delivering a variety of fresh fruits, vegetables, dairy products, and baked goods to people in need, often on the same day the food is donated. Our smallest mobile distributions (5,000 pounds) can provide several days’ worth of food for up to 100 households. Our largest distributions (20,000 pounds) can provide food for up to 400 households. Today, Mobile Pantries account for roughly 40% of the food we distribute annually. For those struggling with hunger, poor health spirals into life-long obstacles that perpetuate the cycle of food insecurity and dependence. 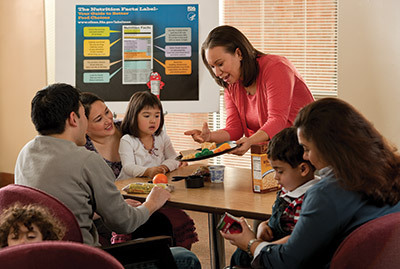 Nutrition intervention at every stage can alleviate personal and societal burdens caused by inadequate nutrition. 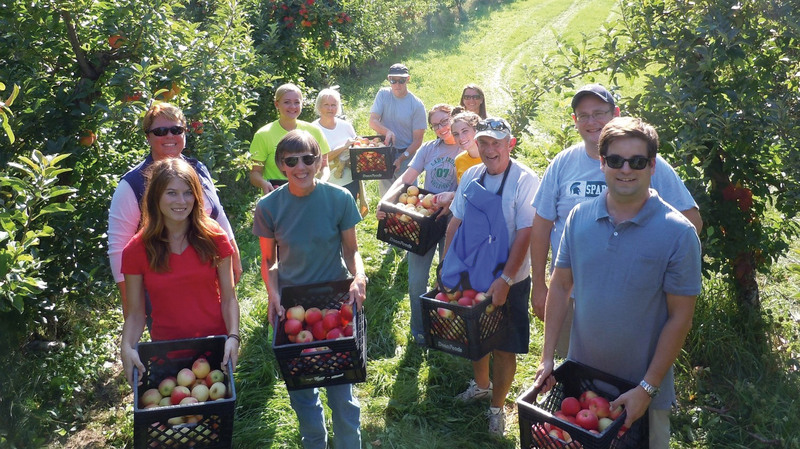 In 2017, 30% of the food that was distributed to Feeding America West Michigan’s partner agencies was made up of fresh fruits and vegetables. This new effort is a comprehensive approach to help our neighbors in need lead healthier lives by encouraging nutritious eating habits. While there are many food and nutrition services available in elementary schools, such as Breakfast in the Classroom, Free and Reduced Lunches and Meal Pack programs, what happens when students leave for home? For middle and high school students where elementary school programs taper off, the need is even more dire. There’s a real need to ensure our youth have the nutrition to thrive socially, emotionally and academically. To address this need, Feeding America West Michigan launched our youth hunger program, Eat•Grow•Learn, specifically designed to target gaps in food services for our youth, filling the void with weekend meals, on-campus pantry, and Mobile Pantry visits to schools. Sponsorship is good for business. Nourish team building, workplace morale, and a family-friendly culture while promoting your organization’s purpose-driven mission and message of community and caring. Publicity. Your company will be in front of over 1,700 volunteers who give over 25,000 hours of their time each year, donors who are capable of significant contributions, and over 300,000 individual neighbors. People who appreciate and remember your support and generosity. Cause Marketing. 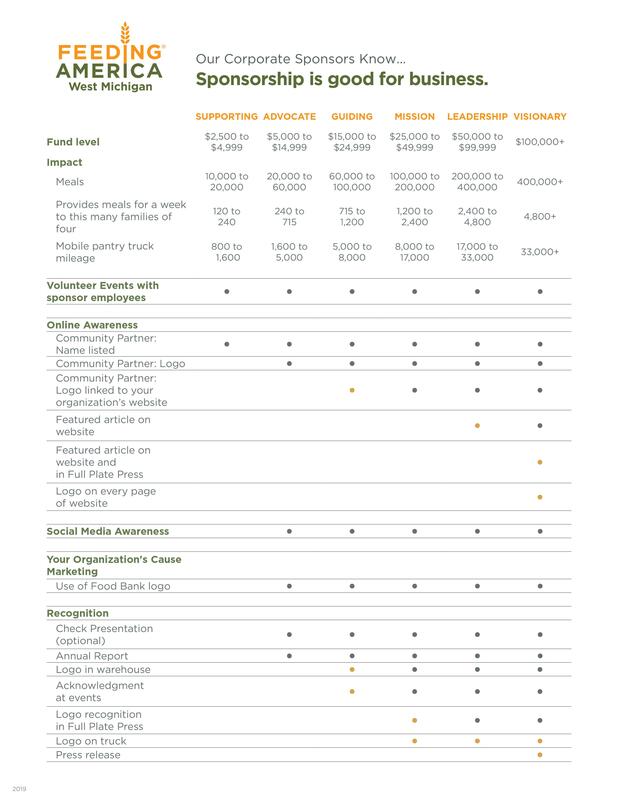 Partnering with Feeding America West Michigan, a 4-Star rated charity, adds credibility and significance to your corporate social responsibility program promote your brand. Opportunities for employee engagement. From workplace food and fund drives, to sorting and repacking at the warehouse, outdoor events like gleaning produce at local farms and mobile pantry distributions, skills-based volunteering opportunities, and leadership development in team events and executive board positions, there are activities year-round where your employees will find personal fulfillment and a sense of pride for belonging to an organization that values giving back to their community.